String quartet arrangement by Andrew Tholl of the Xth movement of Bell Solaris. Recording by the Formalist Quartet released on Cold Blue Two anthology. In my 1998 work for piano, Bell Solaris—the Sun rings like a bell, initiating waves of influence that traverse, shape, and create space, time, and life—twelve movements emerged from subtle and grand transformations of the Hymn of Change, which I had written earlier in 1992. Some years later, after hearing Bell, Andrew Tholl was inspired to arrange the Hymn, a kind of slow, gospel waltz, for string quartet. The Bell Solaris score includes imbedded texts as part of the communication with performers. In Hymn of Change they come from Pythagoras's lectures on change, as reported by Ovid: "The phrase 'being born' is used for beginning to be something different from what one was before, while 'dying' means ceasing to be the same. Though this thing may pass into that, and that into this, yet the sum of things remains unchanged." (Metamorphoses, trans. Mary M. Innes). The Formalist Quartet, of which Tholl is a member, recorded the piece for release on Cold Blue Two anthology; Cold Blue Music, #CB0036, Los Angeles, 2012, [CD]. AH! opera no-opera was conceived as an opera generator, a template for endless operas that was created in collaboration with writer, Martine Bellen. AH! doesn't have a fixed score. Rather materials are composed as they arise from what we think of as an "opera generator." The documents for downloading include a prolegomenon and a Story-WordSound-Map "score" that are used to begin imaginings that may lead to realizations. The first public realization of AH! was co-composed with A Counterpoint of Tolerance Composers, Iván Caramés Bohigas (Spain), Michael-Thomas Foumai (US-Hawaii), Alex Kotch (US-North Carolina), Claudio Maldonado (Argentina-Patagonia), Vedran Mehinovic (Bosnia), Natalie Oram (UK), Doo Jin Park (Korea), Jerónimo (Jxel) Rachenberg (Mexico), Diana Syrse Valdés Rosado (Mexico), and Xiaolang Zhou (China) and directed by renowned theater artist, Travis Preston. Currently, it is best experienced by visiting the AH! opera website. Some of Rosenboom's scores for AH! will eventually be added to this site. An accessible solo for young pianists, inspired by R&B explored through contemporary techniques, included in Elena Riu's R&B Collection: 17 Contemporary Piano Pieces Inspired by R&B, Boosey & Hawks, London, (2008). Kicking Little Shadows (2007) is an accessible solo piano piece written especially for young pianists. It is inspired by rhythm and blues ideas explored through several contemporary techniques. It is included in the collection, Elena Riu's R&B Collection: 17 Contemporary Piano Pieces Inspired by R&B, Boosey & Hawks, London, (2008), with a CD of Riu performing the music. A subtle and hard driving solo piano piece linking rhythm and blues inspirations with Zen-soul and forms of gradual processes, in memory James Brown and with reference to Chi-fo (a.k.a. Feng-seng), may also be arranged or orchestrated and improvisations added. Kicking Shadows (2007) was originally written for solo piano. It may also be arranged or orchestrated and improvisations added. The composer has made parts for four trumpets (piccolo trumpet optional on high parts) that can be added to or mixed with the solo piano. Both are included in the score file. The piece links rhythm and blues inspirations with Zen-soul and forms of gradual processes, some subtle, some hard driving. The title is taken from a verse by Chi-fo (a.k.a. 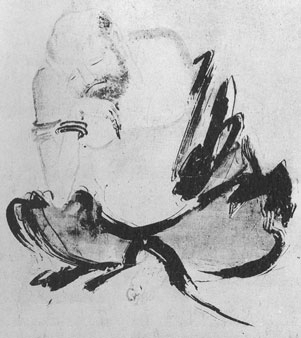 Feng-seng) written about the Buddhist Diamond Sutra, which is included in the score. An optional line of text is included with opening and closing ostinati that may be whispered with a subtle sense of pitch. The music is also written in memory James Brown with variations on an unstated theme. Slow and sultry piano solo piano with improvisational components, may also be arranged or orchestrated, refers to the poem, Secretum, by Martine Bellen, which in turn refers to Secretum by Francesco Petrarca. Tango Secretum (2006) was written as a slow and sultry solo for piano with improvisational components. It may also be arranged or orchestrated. Arrangements for piano and trumpet (with Mark Gould), piano and flugelhorn (with Daniel Rosenboom) and piano and accordion (by Danny Holt) have been performed, and it was included in the music for AH! opera no opera. The music refers to the poem, Secretum, by Martine Bellen, which in turn refers to Secretum by Francesco Petrarca. Lines from the poem are incorporated in the notation for the score as part of communication with the performer(s). Solo violin and bank of resonators realized with computer software and linked through various harmonic constructions that can be controlled in real-time to extract ringing chords with elision, melisma and ornamentation driven by the pitch and amplitude content of the violin sound. For eight singers and interactive computer music system, created for the dance by choreographer, Tina Yuan; singers use wireless microphones and move on stage with dancers; three movements derived from the earlier composition, Attunement, performed as movement one; movements two and three successively deconstruct the text and vocal sounds of Attunement in various ways to activate signal processing software and create musical textures for the remaining parts of the work. A major solo work for piano in four movements plus a theme, using a technique of scoring with configuration spaces and virtuosic material that can be organized in various ways. Thus, many versions of Twilight Language may be realized. The work was written originally for contemporary pianist Vicki Ray who has also recorded her version on the CD, Life Field, from Tzadik. Twilight Language (2004) is a major solo piano work in written originally for Los Angeles area pianist, Vicki Ray. The score contains four musical configuration spaces—virtuosic musical materials organized so that the performer can choose various pathways through the material, or "configurations," all of which preserve composed musical coherence—, a Twilight Language (Theme) and symbols for surrounding sound space images to be developed and ordered by the performer. 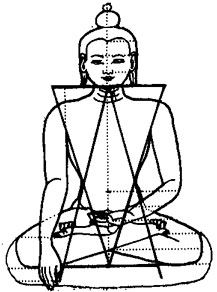 The titles of the four configuration spaces give seed foci for musical meditations: I—Devotion and Restless Heart Indistinguishable, II—Simultaneous Absence of Silence and Sound, III—Leaping from Eye of Wildest Imagination, and IV—Imperishable Jewel of Adamantine Mind. The title refers to double meanings in Sandhyabhasa (Sanskrit), the symbolic idiom of the mystical Siddhas of Tibet. Each configuration space is also inspired partially by visual images from the Tenth Century, Ch’an (Zen), Chinese painter, Shih K’o, a drawing by Lindsay Claire Rosenboom, and a diagram showing canonical proportions of Tibetan Buddha figures. A new recording by Vicki Ray is due to be released by Tzadik in 2012. For solo or multiple trumpets, a score in four large, circular panels comprising musical configuration spaces, each with musical materials that may be ordered in a variety of ways to create the individual time-space realizations of particular performances, includes extended techniques, proportional tuning and time structures, and characteristic, virtuosic trumpet materials; the four parts employ Bb trumpet, Bb cornet, trumpet, or flugelhorn, Bb piccolo trumpet, and C trumpet respectively; written originally for trumpet virtuoso, Daniel Rosenboom. Zones of Coherence also appears on the CD Bloodier Mean Son. Naked Curvature (Four Memories of the Daimon) (2001) is a whispered chamber opera and symbolic concerto grosso referring to particular mystical writings of William Butler Yeats and others for instrumental sextet (flute/piccolo, clarinet/bass clarinet, violin, cello, piano/Midi keyboard, and percussion/Midi mallet instrument), whispering voices, electronics and interactive computer software; score has modular sections which may be used to construct various performances. A newly edited score will be available for download soon. The original score is available from Frog Peak Music. A new recording has been produced for release on Tzadik in 2013. Scores arranged for four different instrumentations with instruments specified by range: 1) two high and two low instruments, 2) two high instruments, 3) two pianos or other keyboards covering the piano range and 4) four trumpets; score may also be played by multiples of four instruments—for example, twelve trumpets—with parts doubled or distributed and arranged in space; parts are played in loose synchrony with electronic tracks provided on a CD; solo improvisations may be inserted at various points in the score. The musical material was derived from studying the time line dynamics of event related potentials (ERPs) occurring in the brains of two performers during a performance of On Being Invisible II (Hypatia Speaks to Jefferson in a Dream), Frog Peak Music, Hanover, NH. Four Lines (String Quartet) also appears on the double-CD Deviant Resonances. Duet for two instruments capable of making continuous glides in pitch; one–page score includes instructions and graphic notation. Shiftless Drifters is a play of interactions between two performers involving opposition, delay, synchrony, following/shadowing, sampling/parsing, random replay, anticipation, punctuation, and free response. Using the forms of gyres (three-dimensional spirals) as guides, a performance of any length is made with sounds comprised only of glissandi, carefully executed over a large and continuous range. Shiftless Drifters was originally written for cellist Jessica Catron and violinist Johnny Chang. The gyres symbolize a world of opposing elements swirling up apparent experiences. The players enter in the spirit of automatic writing, automatic musical interaction, mindful of shadowing principles: shadowing each other, embodying spirit cycles, embodying shadows, being the shadow versus the shadowed; in assiduity, shaping the antinomial and sublunary with ascendency and equilibration.